Masterpiece Baker Jake Phillips Says "I Don't Discriminate"
“It’s just the art of the cake,” Kotb clarified. So there you have it: Phillips has nothing against gay people, it’s just the message that gay people promote. He simply wants to reserve his right not to create sin cakes. 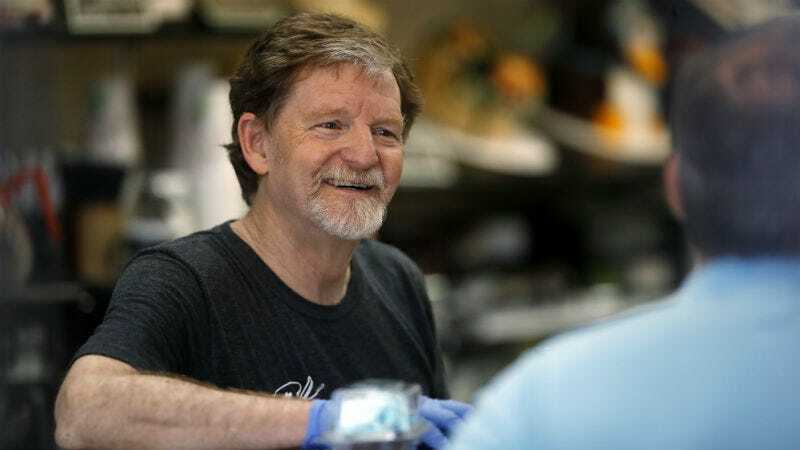 The high court’s decision doesn’t apply to other cases in which businesses have refused services to gay people on religious grounds, but there’s no doubt that those businesses see the ruling as a glimmer of hope for their day in court.